Enough Room for Space proudly hosted the press conference of Cavaria and Holibihuis Vlaams Brabant on the 17th of May in Drogenbos. 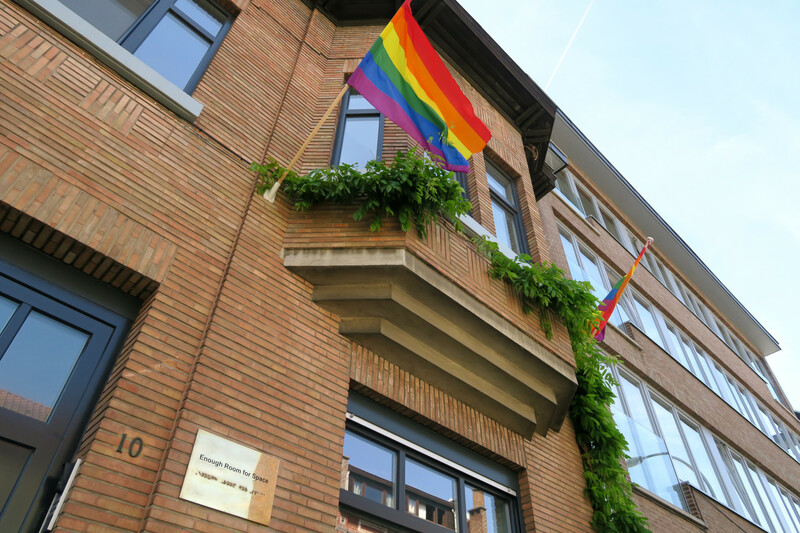 For the third year, ERforS flied the rainbow flag together with cultural institutions, in hope of a more openly tolerant Commune of Drogenbos we can be proud of. This day represents an annual landmark to draw attention of decision makers, the media, the public, opinion leaders and local authorities to the alarming situation faced by lesbian, gay, bisexuals, transgender and intersex people and all those who do not conform to majority sexual and gender norms.